Robert O’Toole and I have 2 slots open on our first Homer Fall Bald Eagle IPT and due to a cancellation, one on the second trip. We are glad to offer blog folks a $200 late registration discount. 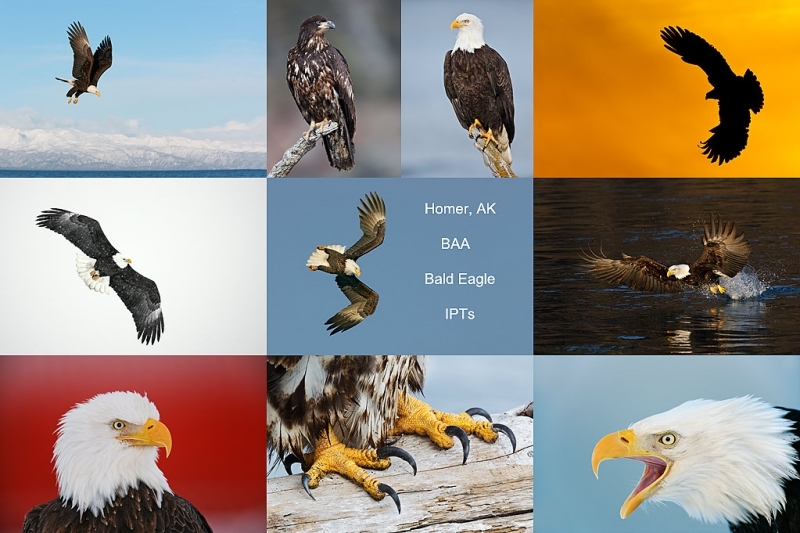 If you like to photograph eagles you have not lived until you have been to Homer. Robert and I have photographed Homer both before and after the Jean Keene era. Few if any (aside from us) have mastered the latter…. These trips are based in Homer, AK. We will enjoy virtually unlimited photographic action. Each year, most folks opted to miss at least one boat trip due to photographic exhaustion. Two great leaders provide both in-the-field and in-classroom instruction that will include at least two Photoshop sessions. Canon or Nikon we’ve got you covered. (In-the field instruction only on the Add-on day.) A non-refundable deposit of $1,000 is required to hold your spot. Happy campers only. If we do not know you, you will be required to pass our Happy Camper test. Once you pass the Happy Camper test, please fill out and sign the forms here and send them along with your deposit check. Your registration will not be complete until we have your signed forms in hand. ps: I’d love to hear from folks who were with us last March. BTW – I will never forget the sound of a Bald Eagle’s feathers rustling in the wind as it soared 3 feet above my head. Never. It was an incredible experience for a Bald Eagle fanatic like me. Do not hesitate. I had been itching to photograph eagles for years, Artie, and the Homer IPT last March exceeded my expectations. We photographed eagles soaring, diving, perched, eating, fighting for perches, and fighting in mid-air. We photographed them against green water, blue water, shaded hillsides, and snow-capped mountain ranges. We photographed in the soft light of early morning, and were out in the evenings until after the sun dropped over the horizon. Robert was a super co-leader. The 70-200 f/2.8 II was brand new to me, and I found that the 70-200 with the 1.4x TC on a 7D (I didn’t have a Mark IV) was a deadly combination for eagles in flight. The glaucous-winged gulls were a nice bonus–I love some of my photos of hovering gulls. If October in Homer is anything like March was, participants will want to take lots of memory cards! ps to all: Be sure to check out one of Mike’s great images here.